The best way to collect donations is to register online for Bidwell Bark. When you register for the event, you will receive a personal fundraising page where you can post your own story and photos and raise funds. We recommend you bookmark the link to your personal page as soon as you finish registration to get started telling your story about why you are helping animals. If you choose to create a team during registration, you will receive a personal fundraising page AND a team page to customize. If you join a team by selecting an existing team during registration, your personal fundraising page will be attached to your selected team page and your personal fundraising will be added to the team’s total amount raised. CASH & CHECKS – Download & print the Donation Tracking Form. Donations in the form of cash or checks made out to Butte Humane Society should be recorded appropriately using the Donation Tracking form. Offline gifts must be turned into BHS for the gifts to show up on your personal page fundraising efforts (for returning participants, this is different than in past years)! Turn in your donations with the Donation Tracking Form every Wednesday at the BHS Administration Office, 2580 Fair Street in Chico. Use your personal page to tell your story with words and pictures. The more personal your story, the more people will be moved by it. When people visit your page they’ll find an easy-to-use link to make an online donation on your behalf. Brag about your pet(s) with pictures and stories. Talk about why you think it’s important to rescue pets, care for neglected animals, and fight animal cruelty. Share a personal experience about BHS, adopting an animal, or helping rescue a lost or abandoned pet. Share comments directly on Facebook and Twitter. Automatically thank people for donations. 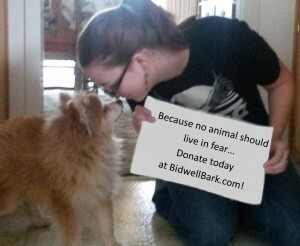 Send a quick email directly asking people to donate and/or join you at Bidwell Bark! Feel free to use any or all of these suggestions to spark interest from your friends and loved ones. You can copy and paste the text, modify as you like, and maybe include a photo of your pets! 30 days and counting until Bidwell Bark 2018! Support me with a donation today! Just 15 more days until Bidwell Bark! Can I count on your support? Bidwell Bark is just 5 days away! Plenty of time for you to support BHS animals through my fundraising efforts! Bidwell Bark is tomorrow – last call for donations! Thank you to everyone who supported my Bidwell Bark efforts. For everyone else, it’s not too late to help me help BHS! 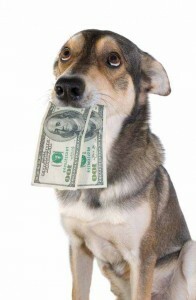 I have raised $___ for the Butte Humane Society Bidwell Bark. Help me reach my goal of $____ by making a donation!